Dutch NGO PAX is calling on five Dutch and European power companies to stop buying Colombian ‘blood coal’ from the mining companies Drummond (a private US company) and Prodeco (owned by London-listed Glencore Xstrata). These mining companies must first contribute to the acknowledgment and compensation of the thousands of victims of paramilitary violence around their mines in the 1996-2006 period, and actively oppose the current human rights abuses. 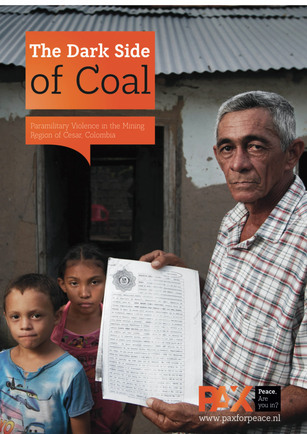 PAX has just published a damning report on paramilitary violence around the Drummond and Prodeco coal mines in the province of Cesar in Colombia.